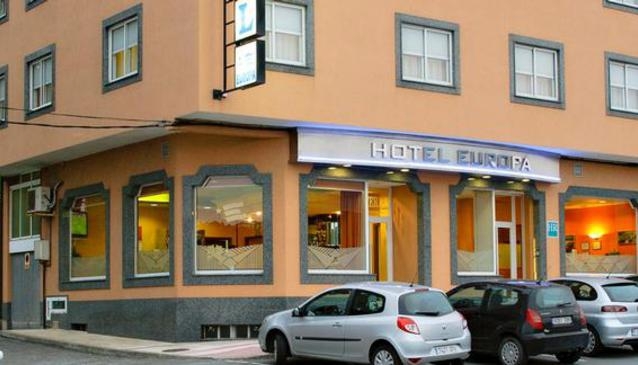 Offering a friendly ambience, a great location and reassuringly affordable accommodation in Arteixo, the popular Europa is sure to win a place in your affections. Conveniently situated between La Coruna and Arteixo, both the business traveller and the recreational holidaymaker will find it the perfect choice for a visit to Galicia. Don't hesitate to consult the personnel about the extensive facilities at your disposal. If you are looking for a contemporary hotel ambience in which to hold your seminar or meeting, then the Europa provides delegates with the ideal venue. Afterwards, you can relax in the Salon, watching satellite TV or perusing the newspapers. Staff will be delighted to be of assistance throughout your stay. No visit would be complete to this attractive establishment, without sampling some of the delicious dishes available in the stylish on-site lounge restaurant. Here you can unwind with friends, family or colleagues and treat your taste buds to mouthwatering cuisine.